Many people have travelled to the Egyptian Pyramids to feel their energy or ventured to Stonehenge to feel the energy of a stone ring left by an ancient race. Now the same energy frequency they seek is here in Australia and soon to be in many parts of the world in the Teslas Starhenge. Provides an incredible experience of energy by being immersed in a configuration of 98 Teslas Plates. This supports you on all levels. The Energy creates the Frequency which turns into Vibration that helps to reset your patterning. This in turn helps you to shift through the blockages that are holding you back in all areas of your life. Many say the experience is very nurturing, supportive, spiritual and centring. God-Consciousness and cosmic awareness of the Light of the Divine Presence within every man and women is the next step in the spiritual nature of mankind. To find this presence one has to be able to be centered. 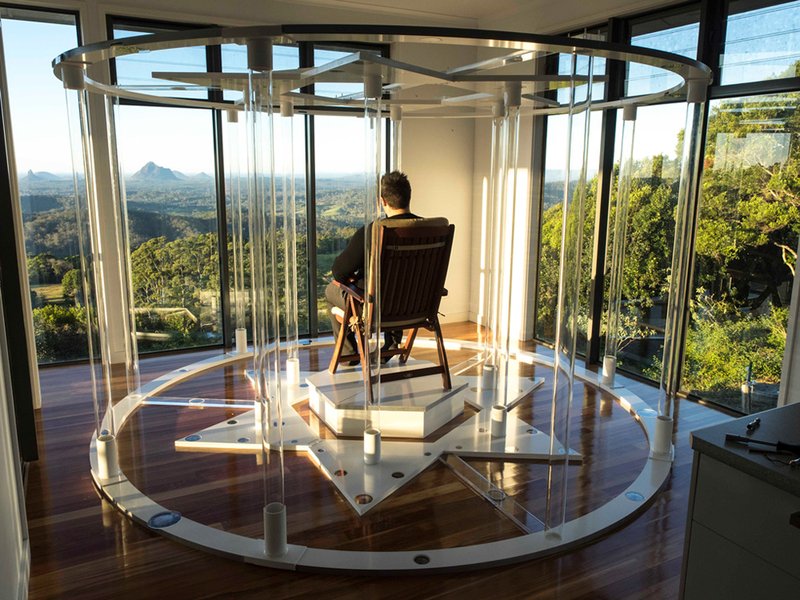 With the new Light Chamber you will find it easier to become centered as the Vortex energy in every cell becomes balanced and energized. 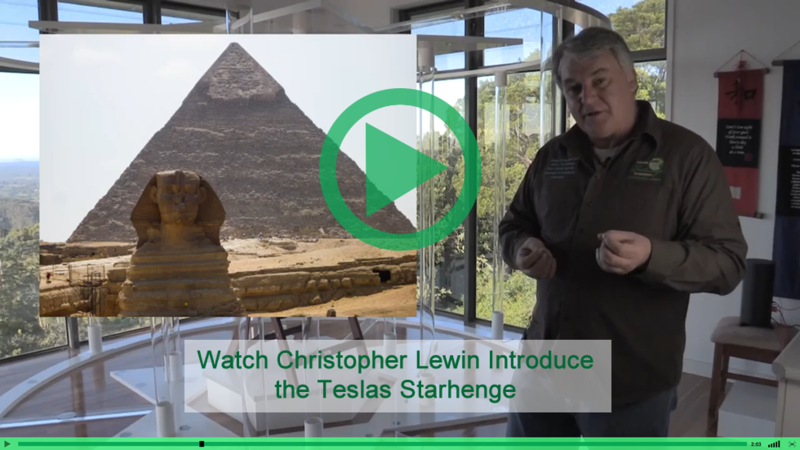 Just as the High Priets of Egypt enjoyed using Essential Oils in the pyramids you too are able to enhance your experience in the Teslas Starhenge with high quality Young Living Essential Oils™. These beautiful Essential Oils help to bring balance to the energy systems of the body just like the Teslas Starhenge. Although use of the oils is optional, by bringing the two systems together your experience is enhanced. The oils activate the meridians and the DNA to help improve cell energy transfer. (Click here and see Connie's Story.) This in turn provides a unique pathway to release negative encoding within the DNA, thus supporting new thought patterns. Find out how your energy levels are! In our case files you will see the results by the testing we did with the Heart Quest System. The Heart Quest System is based on the ancient art of reading the pulse. Pulse reading was considered by the ancient Chinese a way to access the 7 Layered Oscillating Crystalline Structure otherwise known as our Heart. 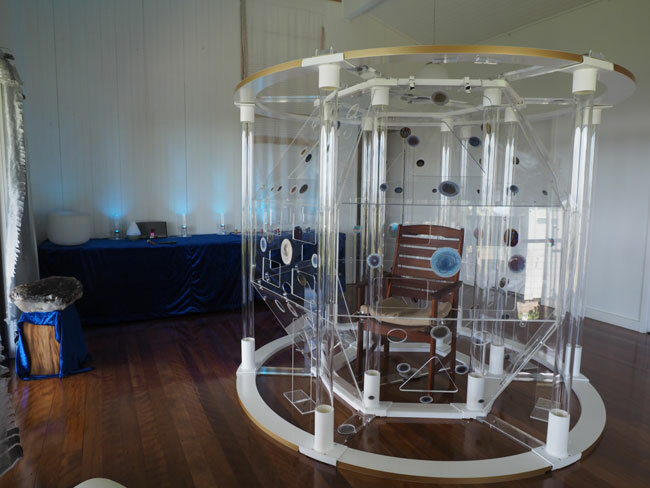 The Heart Quest System is based on scientific research by Russian scientists who developed the technology for the Navy and for their space program. Heart Quest removes the guesswork! It measures your energy levels before and after your time in the Teslas Starhenge. This identifies the sites of energy blockages in your meridians, chakras, and weaknesses in your auric field. Taking your life to the next level requires new thinking. After five sessions in the Teslas Starhenge you will be amazed at how much has changed in the way you look and think about life. (Click here to see real people and their 5 session story). Experience this innovative, cutting edge technology for yourself. Teslas Starhenge has the ability to work with Energy, Frequency and Vibrational Healing at Long Distances. The Teslas Starhenge directs its unique Neutrino’s at in-person and at a distance, remotely. Its extra-sensory faculties are amplified by placing a personal physical item such as hair and a photograph of the person or animal in the centre of the device. A snippet of hair from the person or animal acts as an antenna and is the link between the Teslas Starhenge and the individual. To read the full story go to the Gate Keeper page. Our partner shop supplies Tesla products across Australia. Read, watch and listen to the experiences of our trial participants. Would you like to know more about the Tesla's Starhenge? Please don't hesitate to get in touch.